Its Freebie time again! Of Course if you are following the Facebook page you knew earlier this week what was going to be the Freebie today! We NEED to load it to our club card today(5/11/18), but have until 5/27/18 to actually redeem it. 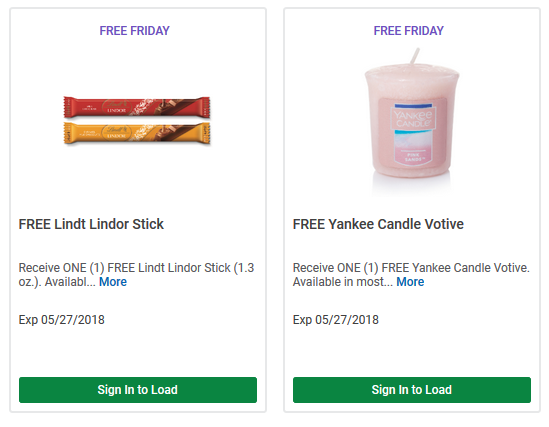 So first go here, to the Fred Meyer Digital Coupon Home and sign in. Notice on this webpage you will see the e-coupon. Click the “Load to Card”. Voila! You are good to go! The coupon should come off at QFC or Fred Meyers!! Very easy! This coupon only lets you Get one Free PER Card, but of course if your family had 2 cards……. 😉 Remember you need to add it TODAY to get this deal! Safeway & Albertsons Weekly Deal Summary 04/24/19 - 04/30/19 + Monopoly Game!! Here is the complete deal summary for the Safeway & Albertsons Weekly Deal Summary 04/24/19 - 04/30/19 + Monopoly Game!!! These deals are for the Portland,Oregon area! Safeway & Albertsons Weekly Deal Summary 04/24/19 – 04/30/19 + Monopoly Game! !